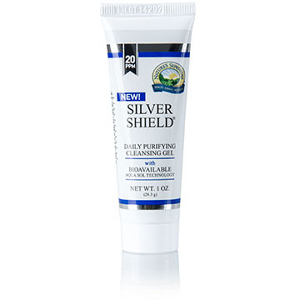 Nature's Sunshine presents NEW, stronger Silver Shield with cutting-edge Aqua-Sol technology! Now with 20 parts per million! In a larger size too! Get the same premium-quality immune-boosting silver with a little extra power. New Silver Shield 20 PPM is now available with 6 fluid ounces for the SAME price as the 4 ounce 18 PPM Silver Shield, $22.50! You get 50% MORE FREE! We've also introduced a popular, family-size 16 fluid ounce bottle for just $42.65! An incredible savings! 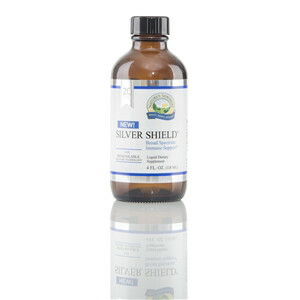 At 20 PPM, new Silver Shield offers broader range and is a superior choice for immune health support. Better price. Better value. Better protection. Protect your most valuable assets...better, today! Although the price is nothing short of fantastic, NEW Silver Shield 20 PPM is now available at these special introductory offers for a limited time. Now through Friday, September 19! Retail merchandising is proven to help shoppers make buying decisions. Take advantage of these great materials to merchandise your store and make it easier for your customers to say YES. Last year we launched Essential Shield oil blend as a limited-time promotional item, and it was a great success! Since that time we have consistently heard that you want it. Essential Shield is a terrific topical essential oil blend for winter weather and changing seasons. It contains pure essential oils of clove, cinnamon, thyme, eucalyptus, grapefruit, lavender, rosemary and peppermint.